Whether using leftover Thanksgiving dinner, a store-bought roasted chicken, canned chicken, or baked meat, this recipe is the best way to get the Brady Bunch to eat veggies. Lots of veggies! Because it freezes well, it is great to have on hand for a needing family or a busy night. I make MANY at a time, because of the ease. If you love to cook, start with a pie crust from scratch and grow your own veggies. If you don’t love to cook, let Pillsbury and Green Giant help out. When it is thickened slightly, pour in the frozen veggies, and about 2 C turkey bite-size pieces. Add 2T worcestershire sauce (optional). Pour the mixture into 2 pie plates. Top with pie crust and bake at 350 for 30 minutes, until crust is done. Cover with foil to freeze. Re-heat at 350 for 30-45 minutes from frozen. This entry was posted in Recipes, Uncategorized by Terri. Bookmark the permalink. Thanks for this recipe, Terri! I’ve been Googling recipes to freeze as I might have to be gone for a month and don’t want to leave my family starving and eating McDo! This is a great one to freeze for them, a complete meal! Looks yummy Terri. I make something very similar to this using Biz Quick instead of the pie crust and last time I made it I added 1/2 block of onion and chives cream cheese. It was delightful. I read your posts with interest. Thank you for a job well done. I would to post a thought. I am also a follower of Dr. Charlie Goetschel. From his Facebook posts and my own study, I have found that the chemical formula for margarine is only one molecule apart from the chemical formula of plastic. I never use margarine. I only use butter which is immensely better for us in any recipe. Sadly for those with dairy issues, butter may not be digestible and we must be careful with soy products as well. Thanks again for all your thoughts. 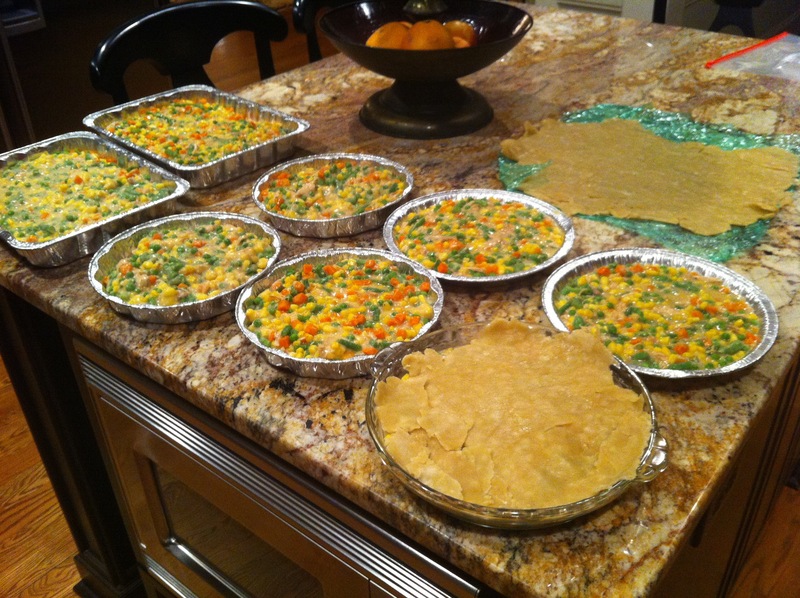 Terri, Thank you so much for sharing your pot pie family recipe. It looks amazing. Can’t wait to share it with my family and those who need a warm meal and an even warmer heart. I use a buttermilk biscuit recipe for the crust instead of the dough. It is a little thicker, but I don’t know how it would freeze (never have done that). I just roll out the biscuits like I am going to cut them out (but don’t) and then put it in the bottom of my baking dish. I pre-bake the bottom crust for about 5-7 minutes before adding the filling. Thanks for sharing!